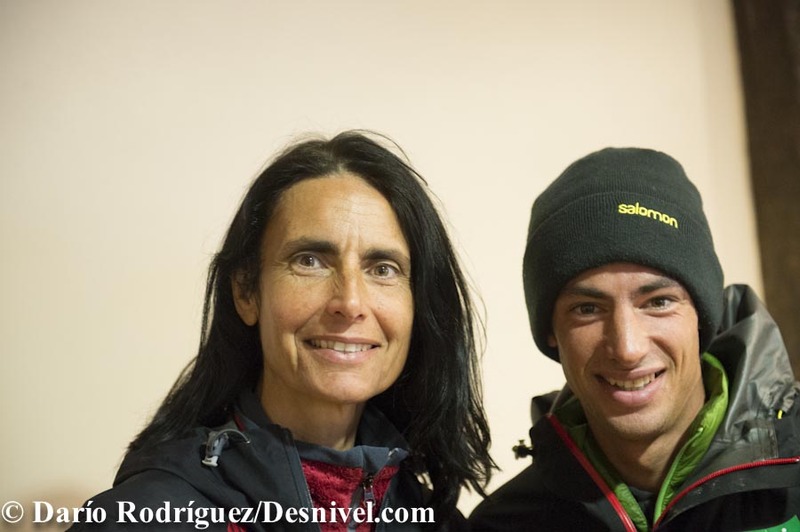 Interview with Núria Burgada, Kilian Jornet’s mother, who is an exceptional professional sportsman of mountain races an mountain ski. In these questions and answers, it’s clearly stated that habits that have been learned in family during childhood are basic to establish our future relationship with food and sport. Parents must do these things rightly, not just for their children, but for themselves too. Setting a good example is necessary. Núria Burgada is Naila and Kilian Jornet’s mother. She has done of mountain, her children’s education and her family, her own life. She’s a teacher at a rural school, in Cerdanya. She’s defined by simplicity, firmness and passion for mountain. These features are some of the mean sources that have marked Kilian, encouraging him to become the person he is. Núria, did you feed-chest to Kilian? For how long? Yes, I’ve always really thought that you must feed your children because it’s what nature wants and it’s a guaranty of health and shelter. Unfortunately, I was able to do it just until he was eight months old, because he was always hungry ant it wasn´t enough, and so we had to diversify his nourishment. And because of his eating anything else, I lost my milk. It always started with a just done orange juice. Then, milk or yogurt with cereals and some bread with honey or jam. Rice biscuits now. When they were little children, bread with chocolate or sausage. About chocolate cream’s brands: “Nutella” or “Nocilla”? Kilian has Nutella nowadays (because he’ living in Chamonix). When he was a child, he didn’t eat a lot of it either. The reward after an excursion was a “Kinder Egg”. The night before, salad, “pasta”, and fruit or yogurt. Not much during the excursion (we don’t eat very much), some energetic biscuit, fruit or dried fruit. After excursion, a similar menu like the one at eve. Did he manage not to eat what you gave him? How did you succeed? 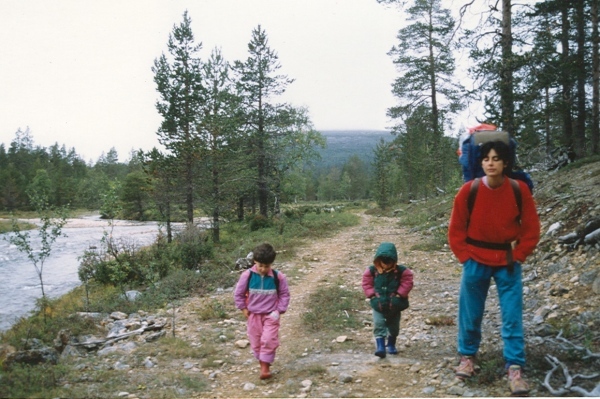 I’m vegetarian (egg-milk-vegetarian) since I was young, but it was clear to me that my children would do their choice and I gave them whatever (perhaps not so much meat or fish like a non-vegetarian) but always choosing the most natural and ecological products as possible. Therefore, at home we all eated of everything, and you couldn’t choose not to do it, and I have had no problems with them. If children see clearly that food is varied, and that it (the same as everything) has a price and that you must be careful about it, they understand it. 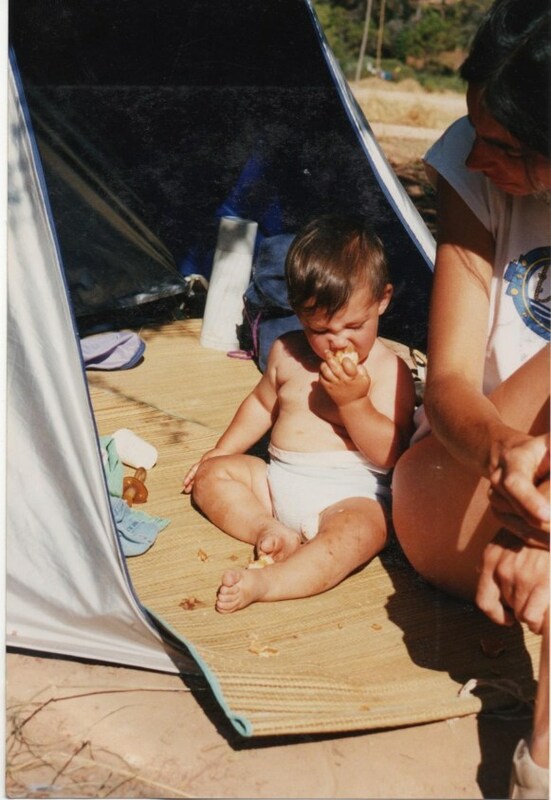 Kilian and Naila, when they were little children, did not eat sweets…we didn´t buy them. We have always explained them these things, and they have understood it well. 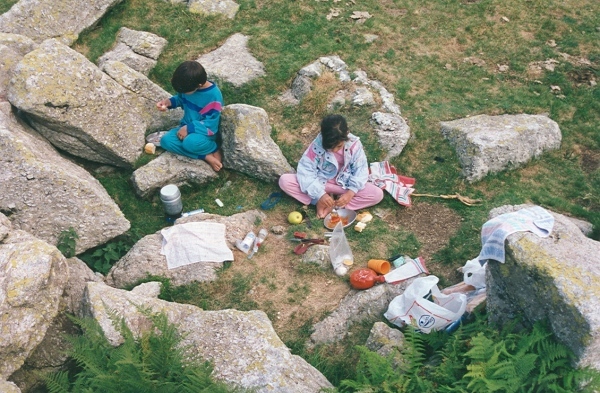 Yes, when they were little children, Eduard used to cook, because he was the responsible of the “Cap de Rec” refuge, and he had always liked cooking. Afterwards, when we got separated, we both have also tried to make our children very self-sufficient. Did you teach him to cook? At which age? Did he take part of meals organization? Some anecdote. Because of living at the shelter, they used to see us cooking and so they started to prepare their own breakfast. 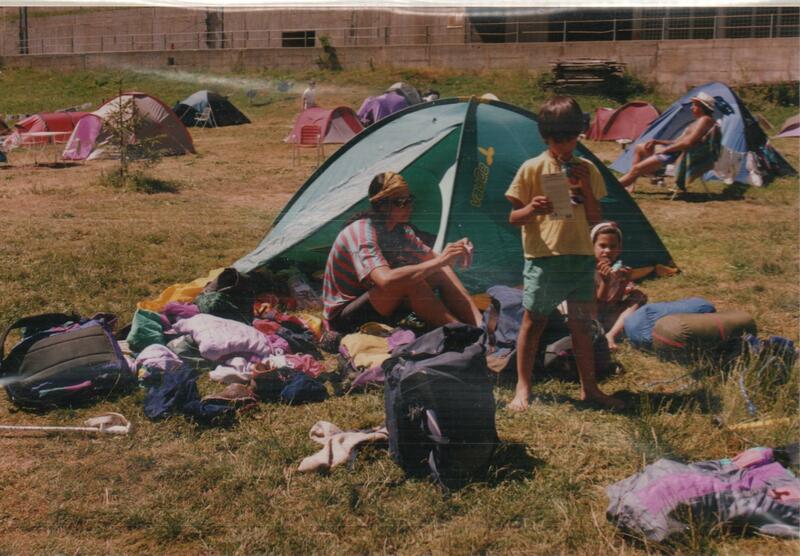 When we leaved out for mountain excursions, they used to help us cooking with a gas stove. When they were 6-7 years old, they helped cooking “pasta”, an omelet…and before this, preparing salads, breakfast, toasting bread. At age 5-6, they started to preparing (with some help) the cake for their birthday party. Nothing special before or after races. Just a salad, a “pasta” plate and fruit. Kilian likes simplicity and can enjoy macaroons even without a sauce. A recipe for a sauce: garlic, onion, marrow and tofu. Then add nuts and parsley. Would you change anything about your son’s nourishment now? No, I did what I thought better for him. Perhaps I would search for more ecological and nearer food. Did you use to have supper together? At what time? Yes, about eight p.m., not later, because then we went out for a walk and told a tale to them. Did they have milk before going to be? With “Cola-Cao” or “Nesquick”? Not, they didn´t. Milk was usually just for breakfast. And with”Cola-Cao”. Nowadays, neither of them has it. Did you yourself practise Kilian´s sports? Do you practise sport actually? Which ones and how often? Which sport do you like most because of its aesthetics? Which one do you like because of its difficulty or hardness? In my case, individual sport but whit team spirit. How many steps do you think you make of average? -From 5000 to 10.000: from 3 to 6 km. -From 10.000 to 20.000: from 6 to 12 km. I think I´m in the second group, from 3 to 6 km of average. I recommend them not to stress their sons with sports, but enjoying it, and then competition will arrive if necessary. The key is enjoying and putting yourself at the same level they are. And about nourishment, eating everything, varied and the most natural and ecological as possible. Enjoy what you do and it´s sure you’ll transmit it to the others. A strong hug to you all. *If you want to see Kilian’s interview at TV3 program “El convidat” (“The guest”), in which Núria, his mother, appears too, click the link. One of the main messages this interview transmit is that nourishing ourselves on a simple and judicious way allows us to obtain a good physical outcome in our sportive practice, at the same time that fills us up of health. It´s quiet evident that you must fit your eating and preparing meals to the particular necessities of yourself, and to your sportive practice. It’s not good at all to choose a picturesque diet (there are a lot of these, be careful about it! ), because it could occasionally generate health problems and a physically outcome lower our possibilities. Dieticians-nourishment experts, and other health professionals, fight daily to make this message arrive to people, sport practitioner or whoever. If you have any doubt about this, ask us for advice. Another really important message is that based on effort and freedom of choice education makes us great and strong. Very few people arrive to the top the way Kilian does, breaking records and in the most difficult way. Most of us reach the top in a more modest time and through the easiest way: thousands of children, young and old people, that do sport also with illusion and dedication. And that feel happy about we do, what is the most important think at last. Kilian is an exceptional sportsman, with incredible physical and mental features, who practises sports that are physically extremely exigent. These mountain sports always carry on some risk, because of practising them in nature. Remember it. Kilian will probably be emulate by a lot of people, perhaps not so young; that´s marvelous. Nowadays, examples like him are necessary. But not everybody is prepared for such hard sports as mountain races and ultra-trail. Mountain walking has no age limits , either of physically condition. Mountain running like Kilian does, that requires an exceptional physical condition and also other physiological features that are not common. Be conscious of that and get no damage! Núria, thanks a lot for agreeing to this interview. Allow me to send you kisses, hugs and wishes of health and happiness, for you and your family! Cierto, Juan. A veces las traducciones nos juegan malas pasadas. Mucho más correcto sería para la expresión “dar el pecho” la palabra breastfeeding. Muchas gracias por la observación. Rectifico la pregunta del post.